Directorate of Employment & Training has published Advertisement for below mentioned Posts 2018. Other details like age limit, educational qualification, selection process, application fee and how to apply are given below. Qualifications & Experience for Consultant – Human Resource: Any Graduate with MBA preferably in HR with minimum 55% marks and 5 years of work experience in manufacturing industry, Central/state public sector undertakings. 3 years in middle position for public relations / Corporate relations / campus placement/ recruitment. - Work experience in Multinationals/ Corporates/ PSUs/ Government Sector will be preferred. - Excellent documentation and report writing skills. - Good command in written and spoken English. Qualifications & Experience for Consultant – IT: BE/B. Tech in IT / Computer / Computer Science or MSC [IT] or MCA and Minimum of 5 Years of Post qualification experience. - Should have around 5 years’ experience in designing/running MIS system and IT based application. Should have hand on experience in Data Management and Data analysis and preference will be given to MIS professionals. - Exposure to work in two projects for E-Governance or IT base Company. - Sound knowledge of field surveys, statistics packages, data analysis, interpretation presentation desirable. - Should have developed, operated and maintained MIS in the past. Qualifications & Experience for Data Entry Operator [Technical Assistant]: Diploma in IT / Computer/ Computer Science or BSC [IT]/ BCA and Minimum of 2 Years of Post qualification experience. - Should have at least minimum of 1 years apart from 2 years of post-qualification experience in handling MIS system and IT based and mobile based application and in Data Management and Data analysis. - Sound knowledge of MS Office tools. Qualifications & Experience for Office Assistant Supporting Staff – Multitasking staff: B. Com / BCA and Minimum of 2 Years of Post qualification experience. - Experience to work on similar positions with government department preferable. 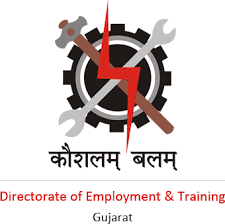 How to Apply: Applicants have to download prescribed form from website https://employment.gujarat.gov.in/ and submit it in hard copy in the name of State Apprenticeship Advisor & Director of Employment & Training, Gandhinagar, Gujarat along with necessary testimonials and certificates at above mentioned address during office hours on or before 3rd May, 2018. Eligible candidates will be informed through Email and Phone to remain present in the interview. Date of personal Interview will be published on https://employment.gujarat.gov.in/ Eligible candidates have to remain present for personal interview before the Committee at their own expenses with all original certificates.